Big drop, slight recovery. The pothole of the other day turned into a sinkhole this morning before the rescue troops arrived. 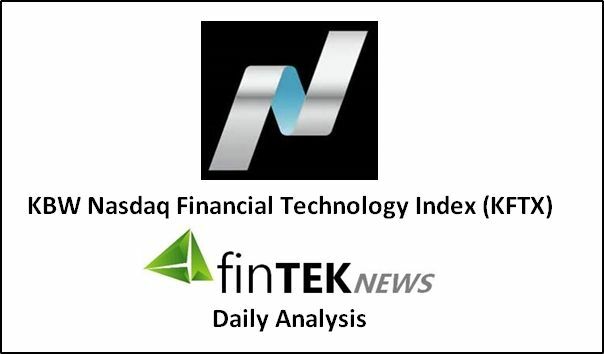 After being down over 1% earlier today the NASDAQ KFTX index recovered slightly to close at 1011.60, off 8.60 (-0.84%). Not a lot of bounce, but hey, the index did face off a death spiral. Five of the index’s forty nine issues were down more than our threshold’s 3% ‘barrier’ and all five did recover some of their loss’s. BOFI lost .39 closing at 22.15 (-1.73%); HAWK 33.68 off .41 (-1.20%); LC off .04 to 5.50 (-.072%); SSNC finished at 31.79 off .56 (-1.73%); and VIRT down .42 to 13.63 (-2.99%). Surprisingly only 3 stocks in the index had a +/- 2 point move today, all down of course. DNB -2.04 (126.24); FLT -3.23 (168.74); and MKTX -2.26 (154.96). In these types of markets (yes, all of them) one would expect many more issues to zigging and zagging. Usually means a bit more volatility and downside ahead. So, one more day left in the week. Seems the bears will win this week and the bulls are hoping the lifeboats don’t have any holes in the bottom since they have not been used in quite some time. Have a great night.